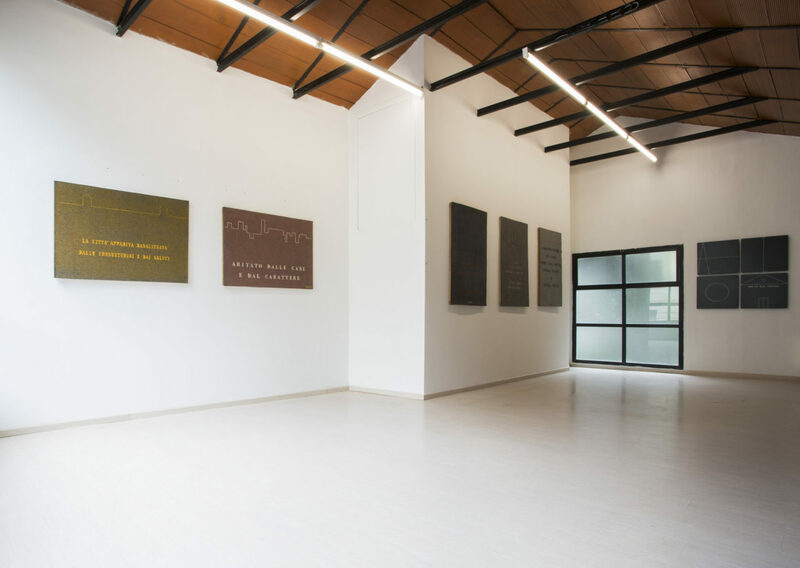 Vincenzo Agnetti (1926-1981): the crucial elements: art high school in Brera, the school of the Piccolo Teatro, work in the field of electronic automation, travels and long periods abroad, commuting to and from Milan and New York in the 1970s. 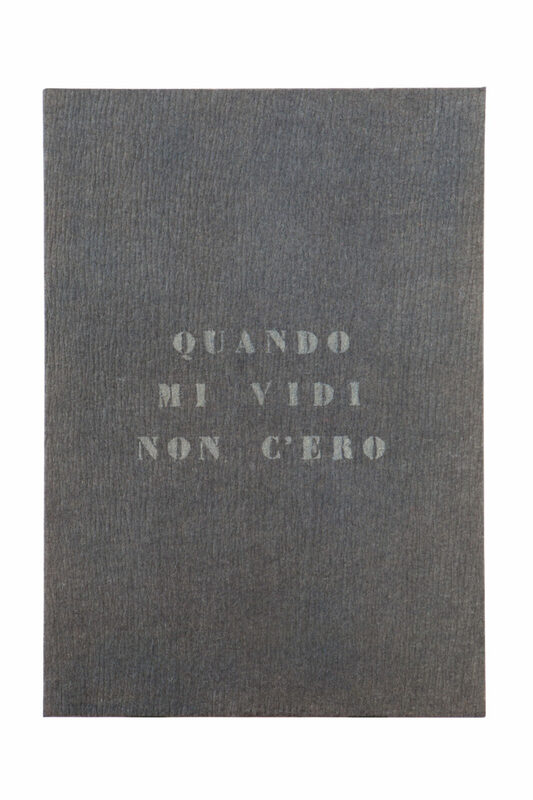 In the 1950s, the first writings and time spent with a few friends, including Castellani and Manzoni, with whom he shared aspirations and projects. 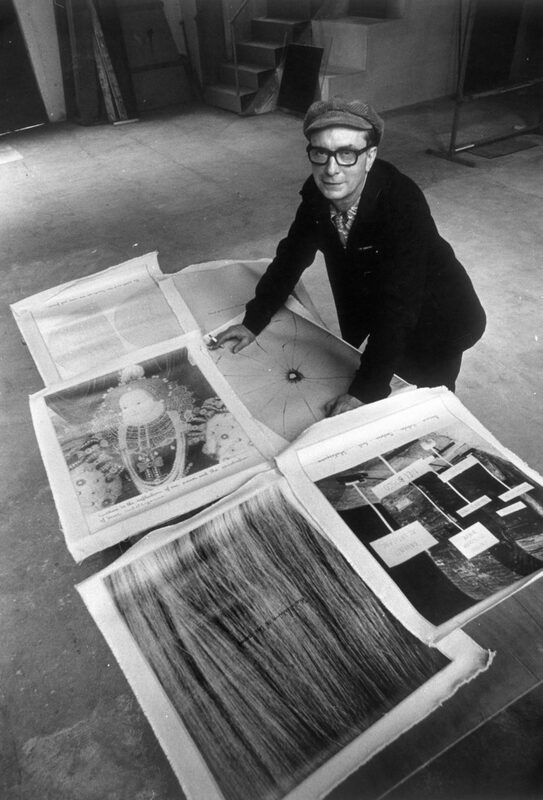 Starting in 1967, he devoted his time entirely to art and to making his theoretical and critical research visible with writings and works that form an iconic and surprisingly contemporary career. 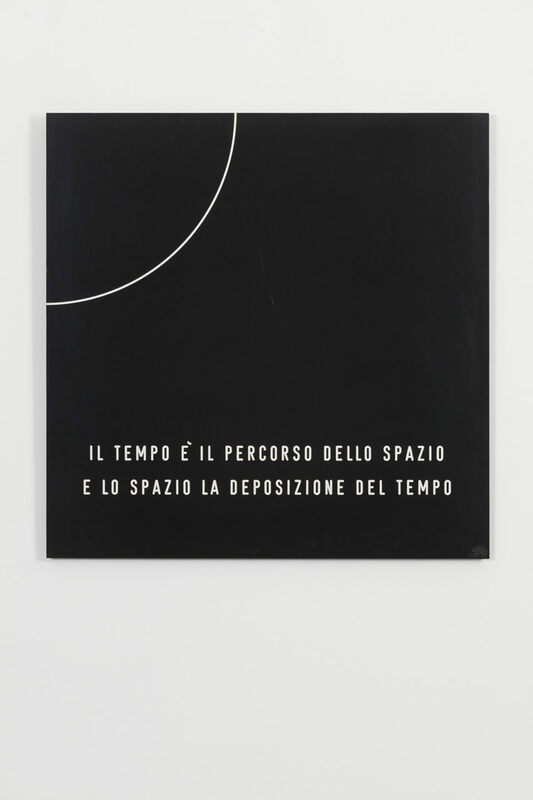 Axiom–Time is the path of space and space is the sedimentation of time, 1970. Black bakelite, incised and coated with white nitro varnish,70 x 70 cm. 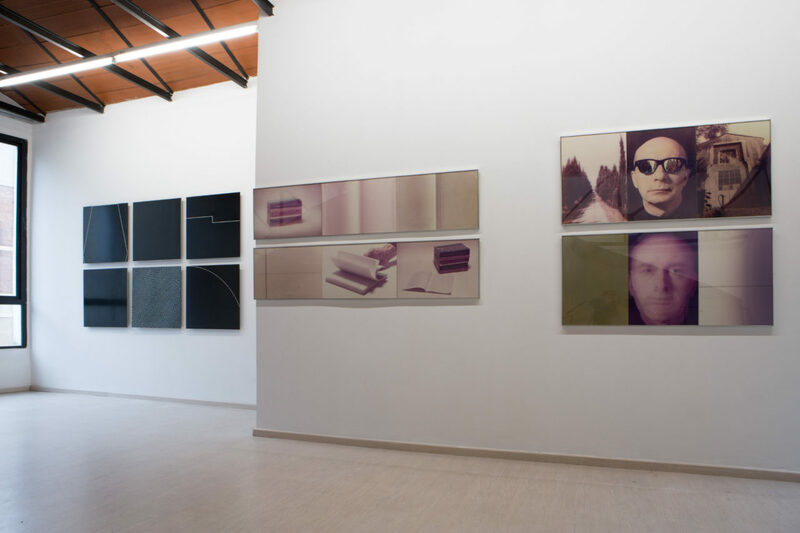 Courtesy of ProjectB Gallery, Milan. 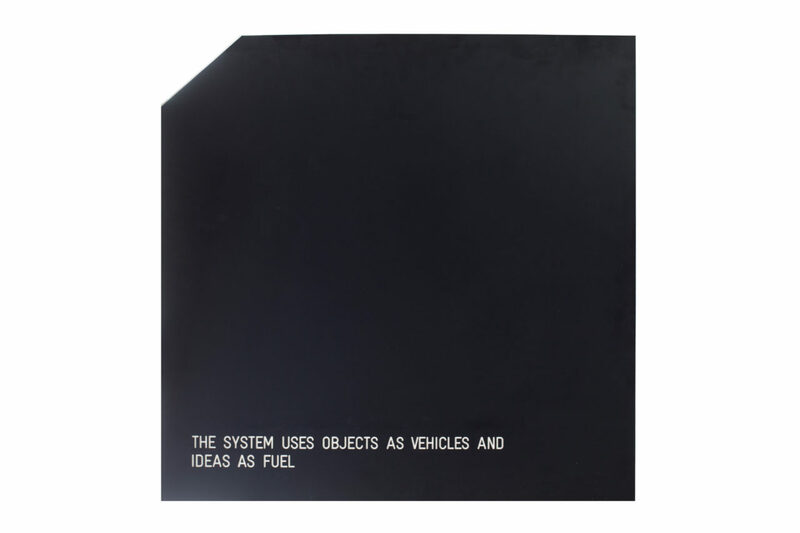 Axiom – The system uses objects as vehicles and ideasas fuel, 1973. . Black bakelite, incised and coated with white nitro varnish, 80 x 80 cm. Courtesy Archivio Vincenzo Agnetti, Milan. Meridiana. 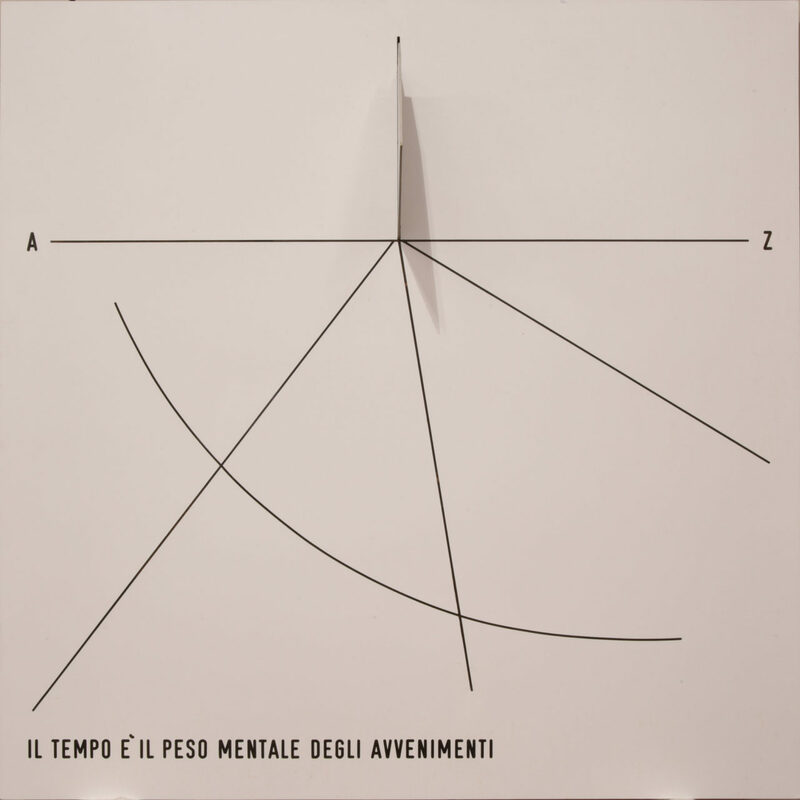 Tempus mentis – Time is the mental weight of events, 1972. Acrylic on wood, formica and aluminium, 100 x 100 cm. Courtesy Archivio Vincenzo Agnetti, Milan. Portrait of a Lover, 1971. 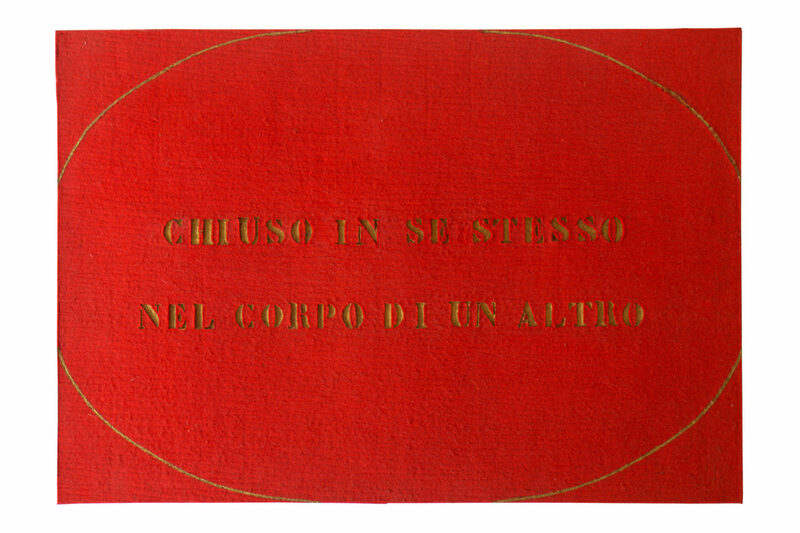 Red flame-engraved felt, painted gold, 80 x 120 cm. Courtesy Archivio Vincenzo Agnetti, Milan. Self-Phone Call, 1972. 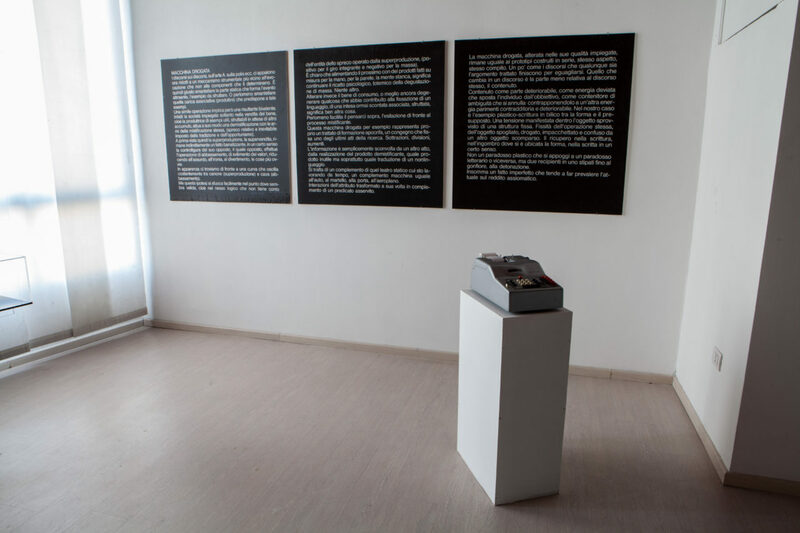 Photographs with handwritten text, 40 x 126 cm. Collection of Emilio and Luisa Marinoni. Project for a Political Hamlet, 1973. 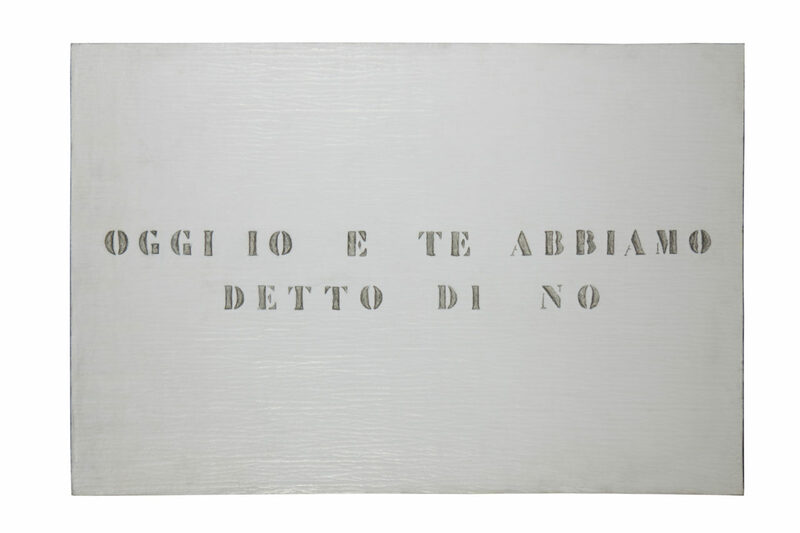 Sixty photo enlargements and texts printed on aluminium, iron stage, audio and six panels with Italian-English texts. Courtesy Archivio Vincenzo Agnetti, Milan. Self-Portrait, 1971. Dark gray felt, painted silver, 120 x 80 cm. Courtesy Archivio Vincenzo Agnetti, Milan. Portrait, 1971. White flame-engraved felt, painted silver, 80 x 120 cm. Courtesy Archivio Vincenzo Agnetti, Milan. 14th-20th Century, 1970. Frescos removed and placed on canvas, 80 x 75 cm each. 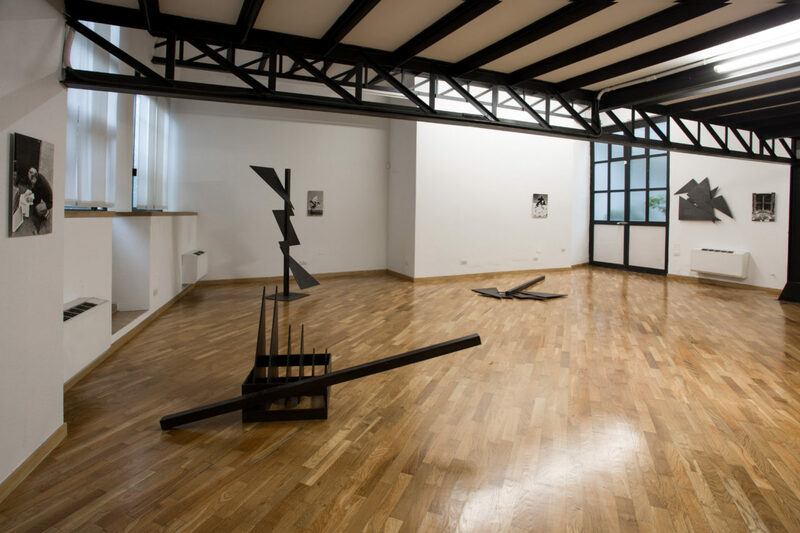 Collection of Luigi Franco, Turin. 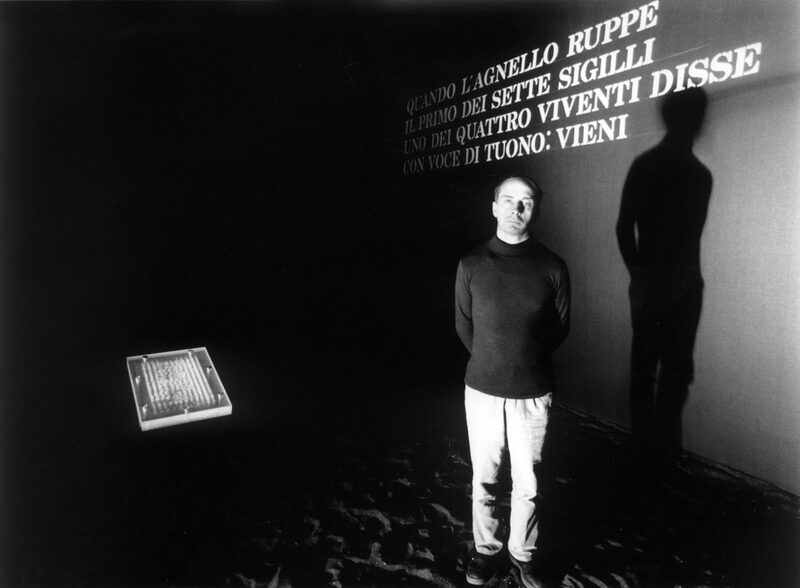 Vincenzo Agnetti and the installation of the work Apocalypse, photo by Ugo Mulas. 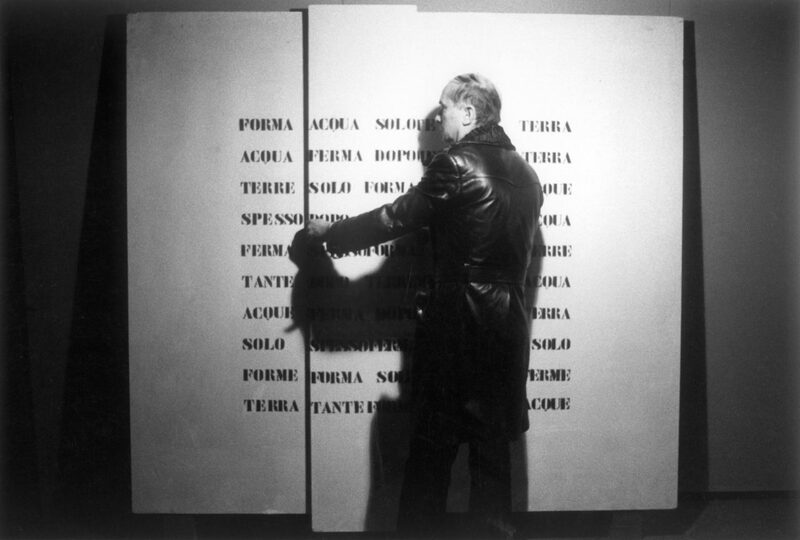 Vincenzo Agnetti at his exhibition “Vitalità del negativo nell’arte italiana 1960/70” (Vitality of the Negative in Italian Art), Palazzo delle Esposizioni, Rome (November 1970– January 1971), 1970. Vincenzo Agnettiin his studio with his work Queen Elizabeth, 1976. 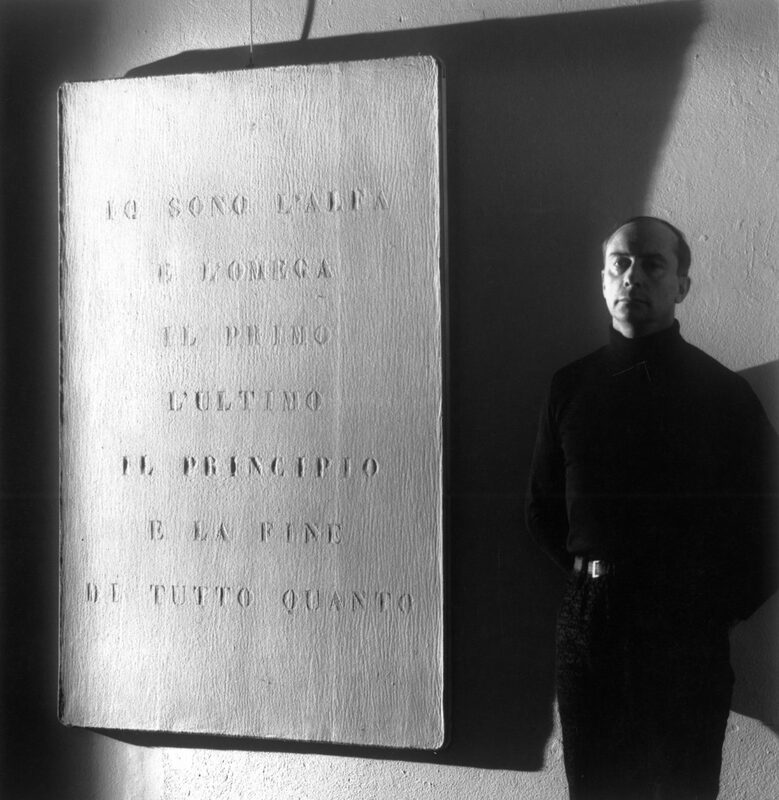 Vincenzo Agnetti with his work Portrait of God, photo by Ugo Mulas. 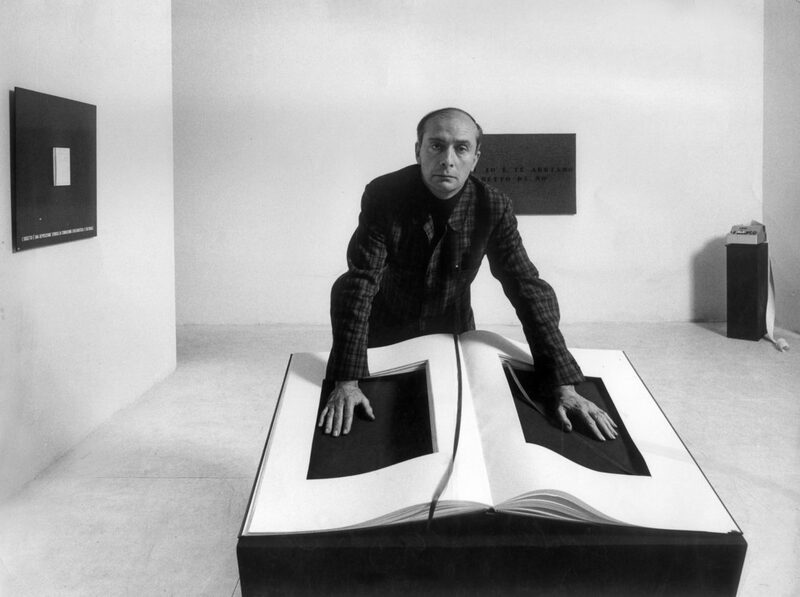 Vincenzo Agnetti with his work Principia, 1973. 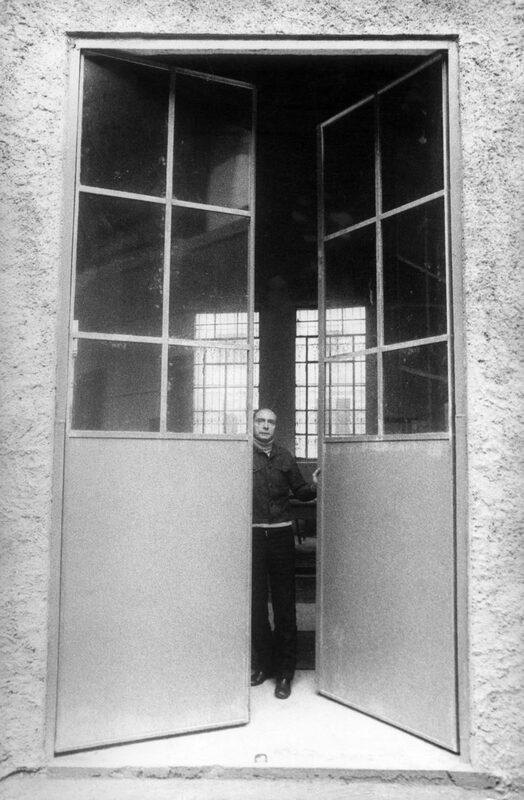 Vincenzo Agnetti at the door of his studio. 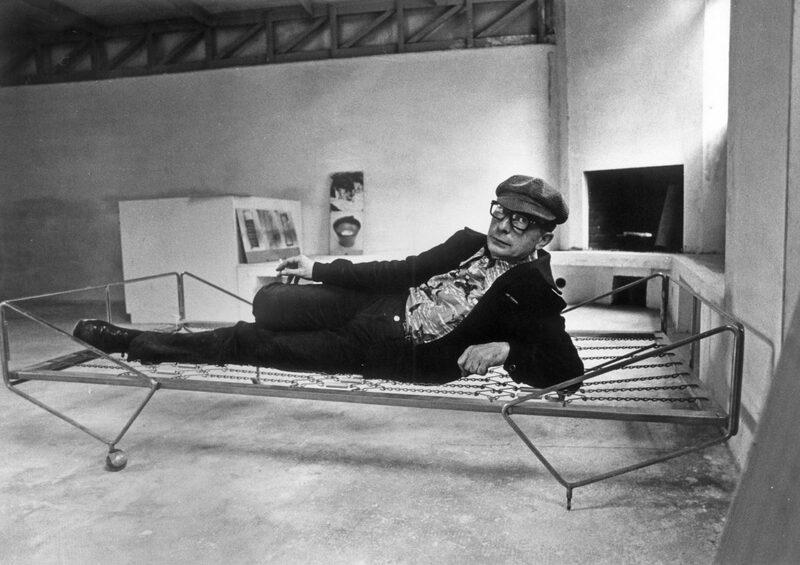 Vincenzo Agnettiin his studio, on the bed by Gio Ponti, 1978. 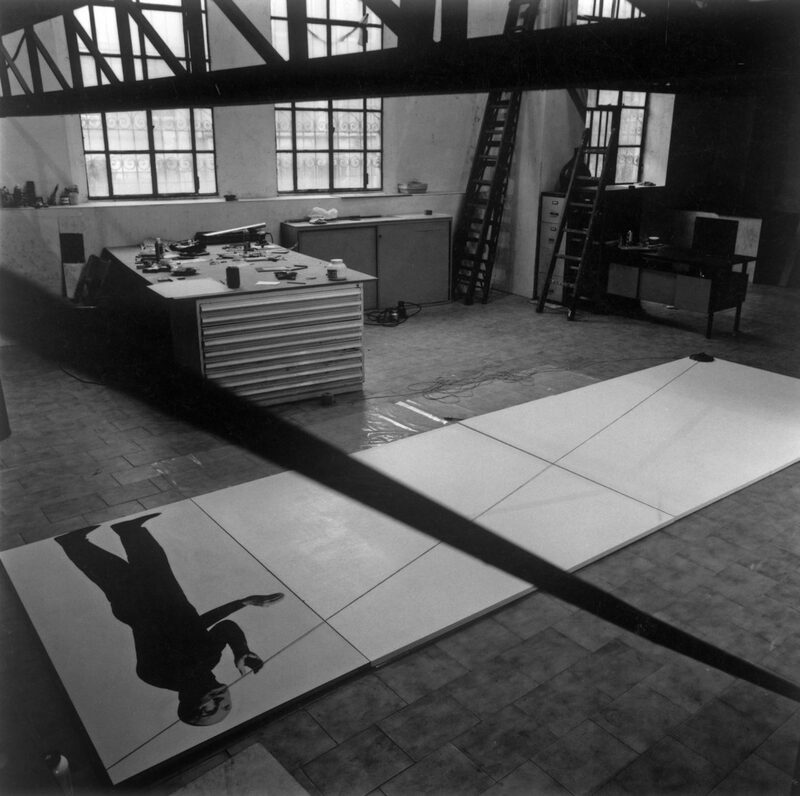 Photograph of the studio of Vincenzo Agnetti, with his unfinished work The Skylight in the foreground, 1981. 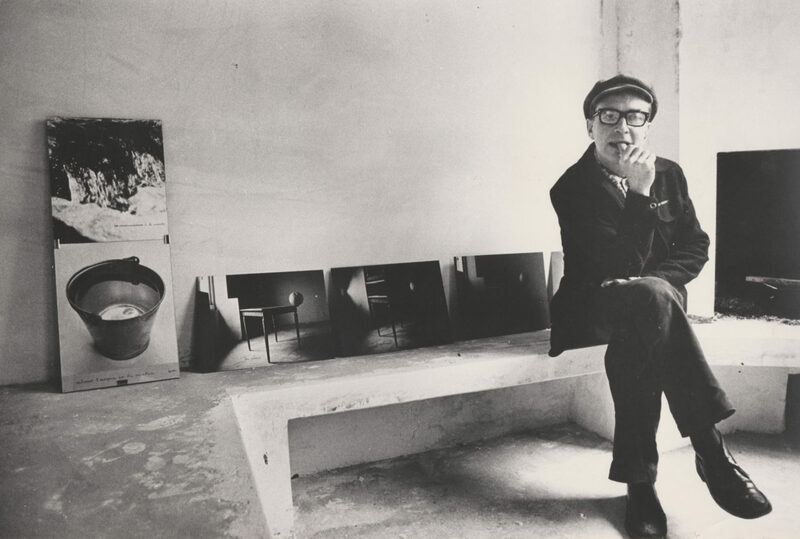 Agnetti in his studio, against the backdrop of his works Mass Mediaand On Impermanence, photo by Oliviero Zanni,April 1978. Photograph of the set-up of Archivio Vincenzo Agnetti in March 2014. Photograph of the set-up of Archivio Vincenzo Agnetti in February 2016. Photograph of the set-up of Archivio Vincenzo Agnetti in November 2017. 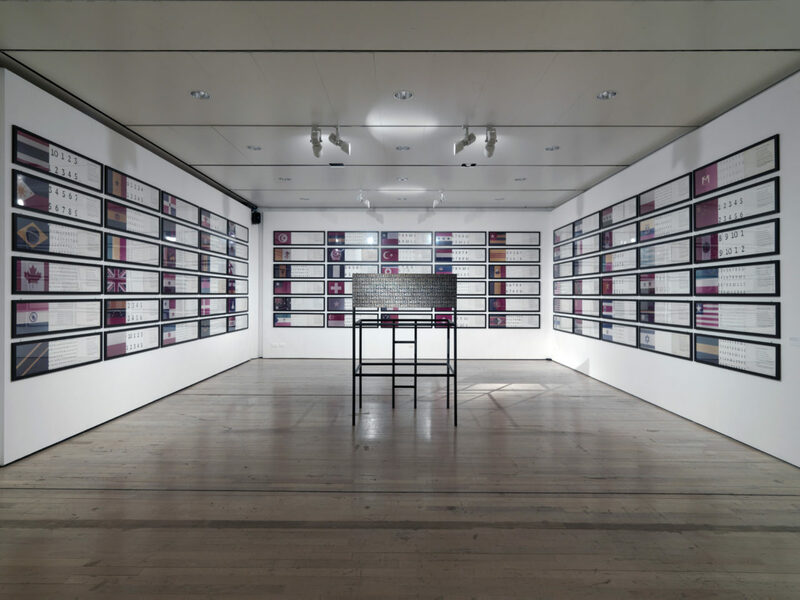 Photograph of the set-up of Archivio Vincenzo Agnetti in April 2018. 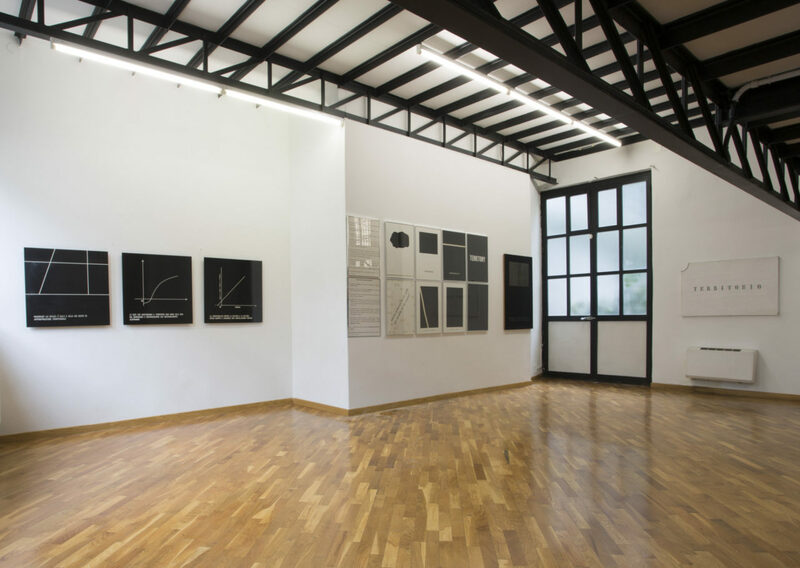 The Archive founded by his daughter Germana and nephew Guido Barbato is located in Agnetti’s former studio. 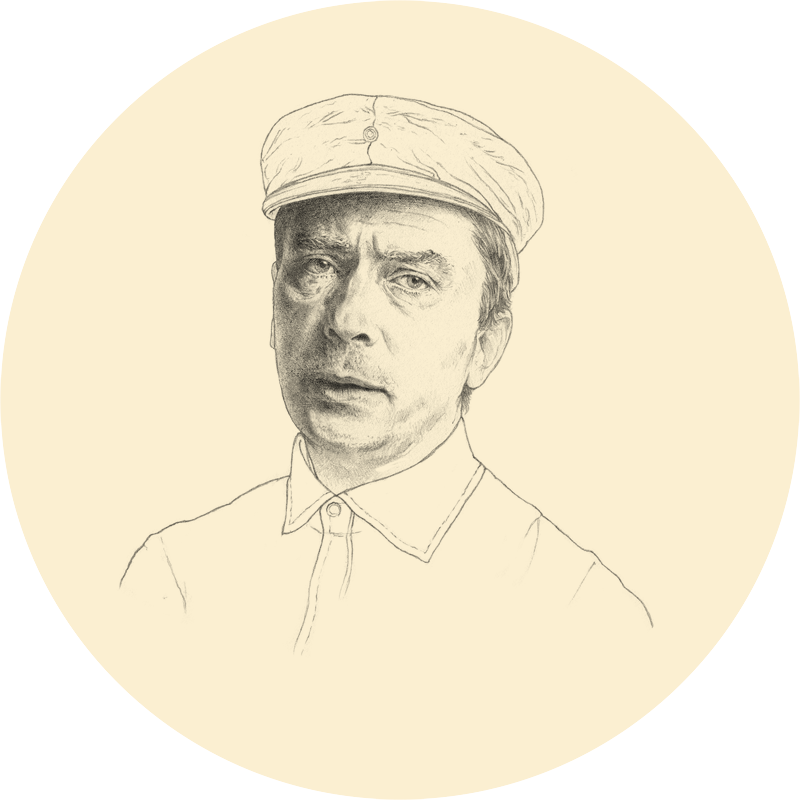 It is a space charged with memory and creative appeal, a small industrial building at the end of a driveway, often referenced and depicted in his writings and works. 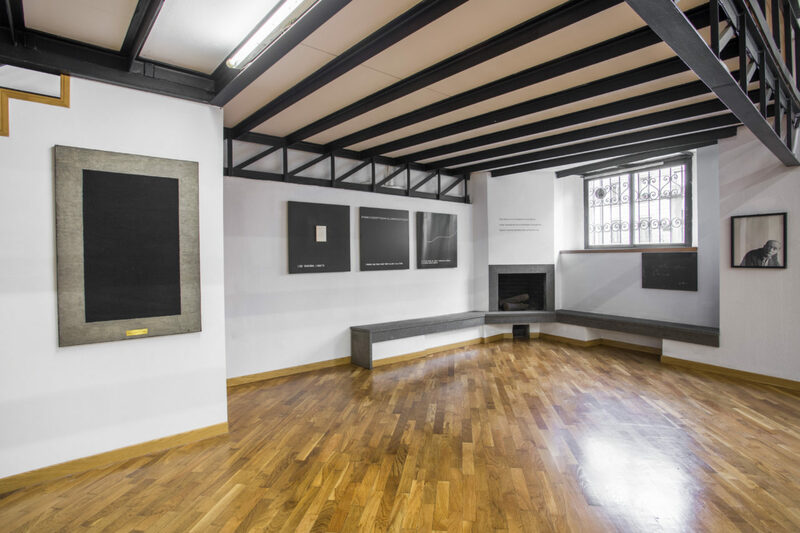 Today it is a place of study and research on the artist’s work, but also a space for exhibitions, proposals and ideas awaiting development along the same wavelengths as his thinking.